Clive Betts, MP for Sheffield South East, was on hand to present Handsworth Junior Sporting Club and Handsworth Parramore FC with two lots of funding from the Premier League & The FA Facilities Fund and Football Stadia Improvement Fund recently. The double funding will act as a catalyst for the club's infrastructure development plans to consolidate Handsworth Junior Sporting Club at the Oliver's Mount site, whilst enabling the Handsworth Parramore FC senior team to also return to the ground. 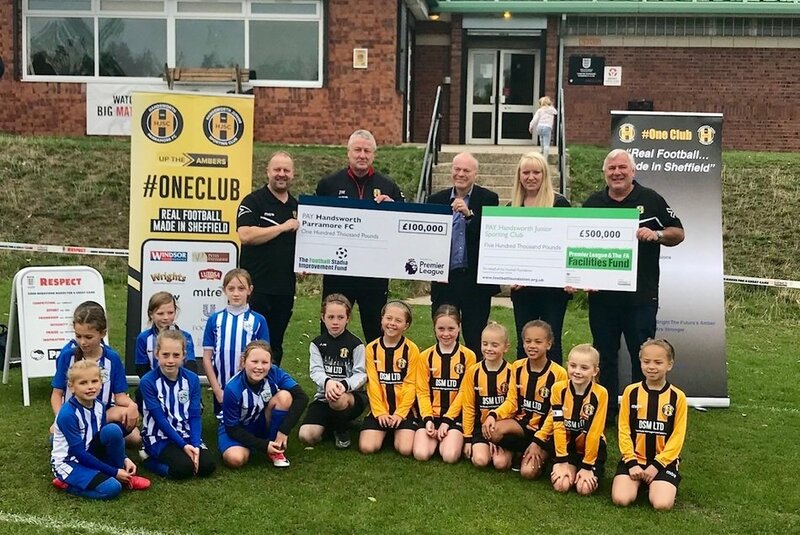 Handsworth Junior Sporting Club were presented with a PL/FA:FF cheque for £500,000, which will allow the club to install a new state-of-the-art floodlit third generation (3G) artificial grass pitch (AGP). Alongside the funding for the new all-weather pitch, Handsworth Parramore FC were awarded a £100,000 grant from the Premier League through the FSIF, to build a new two-storey changing pavilion incorporating a seated stand. The proposed new 3G AGP will replace an existing real grass pitch, which was prone to waterlogging. The pitch will enhance Handsworth Junior Sporting Club's long-term financial situation and allow them to deliver several community initiatives. The new changing pavilion and seated stand will enable Handsworth Parramore FC, a Step 5 side, who play in the Northern Counties East League, to cement their position at Oliver's Mount and improve the facilities available to players and fans alike.